I was startled by Enrique Iglesias’ I like it – my ringtone which announced a call from my husband. He was supposed to bring lunch from out as he wanted me to have a day off. He promised he’d get me lamprais a chilled glass of beer and a rested Sunday afternoon. Now, I began to wonder what could have transpired as he had been away for almost two hours! Wikipedia defines Lamprais as: “Rice boiled in stock with a special curry, accompanied by “frikkadels” (meatballs), all of which is then wrapped in a banana leaf and baked—is a Dutch-influenced Sri Lankan dish”. I prefer to reflect on Lamprais as a Sri Lankan specialty cuisine which has a unique Dutch flavour. 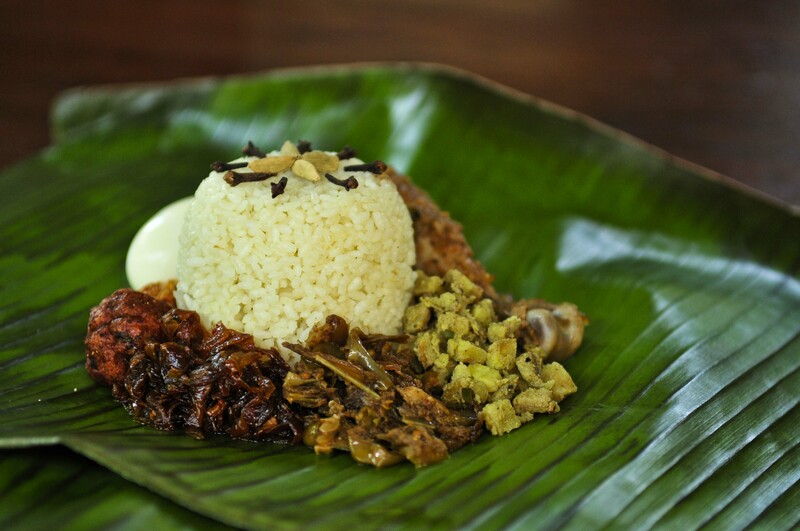 Unfortunately, the Sri Lankan palette and appetite that has changed over the years has resulted in the original format going through several transformations, culminating in rice and curry wrapped in a banana leaf! Available packs range from “not enough” to “not authentic” and is topped off with the usual remark: “too expensive – not value for money”. “What do you mean all sold out?” I uttered, disappointment laced in my voice. “It’s only 12 noon on a Sunday!”. I must have sounded annoyed, because he mumbled something about me being a genius and about him having a watch, and he hung up. That was it. I was determined to dust off that old recipe my Aunt Queenie had given my Mother, and make my own. Several trials within six months and I was ready to test it out on my closest family and friends. It was a nail biting affair as I was not certain how it would be received. Although brimming with confidence with my previous successes at various difficult dishes ranging from Mediterranean to Cambodian – I was nevertheless apprehensive about this specialty from my own homeland! The recipe included the original ingredients used in days of old, and consisted of Lamprais curry (chicken), Frikkadels, Egg plant, Chillie & onion sambol, Prawn Blachang, fried Ash Plantain, Suduru Samba rice wrapped in Banana Leaf and baked (optional egg). I later discovered that my anxiety was unwarranted. The praise I received has been met with a renewed desire to continue to produce more of the lovely banana-leafed wonder, in pursuit of high quality, realistic quantity and reasonable price. Lamprais certainly is not recommended daily fare, due its rich texture, but you cannot resist it come Sunday afternoon! About the Lamprais which we’ve already tasted, it’s authentic and tastes good. Keep it up Sujee. Tell us how we could try-out your other signature dishes. All the best in your endeavors. Thanks Hiran & Romela! The other dishes are just a phone call away. Tell me what you would like me to make for you guys – Mediterranean, Chinese, Thai, Malaysian, Cambodian, Indian, Moroccan?